Stone Hands can be a great party gifts. We take a mold of the guest’s hands and then create stone hands. We can create up to 45 per hour. You will need to wait 30 minutes after taking a mold for the stone hand to be dry and ready to take home. 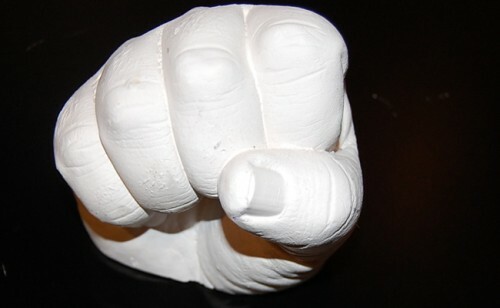 You will be able to display or even paint your hand–to add your own unique and personal touch and make it your own! This is great for kids to see the difference as they grow older. Also see our even more popular wax hands. To book this unique service at your next party, fill out our Request a Quote form.